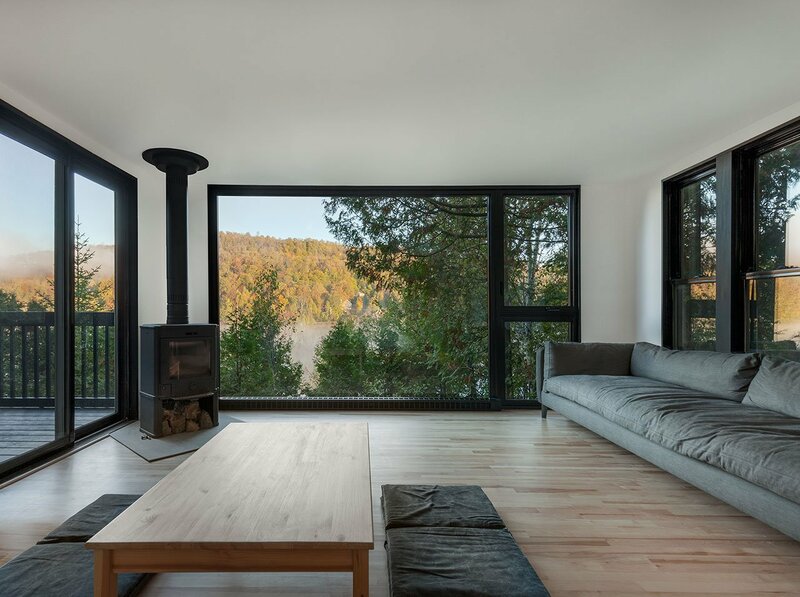 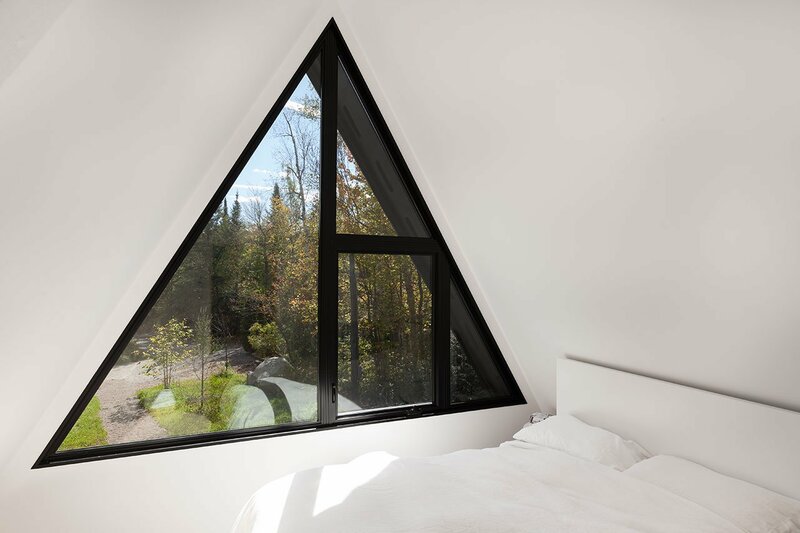 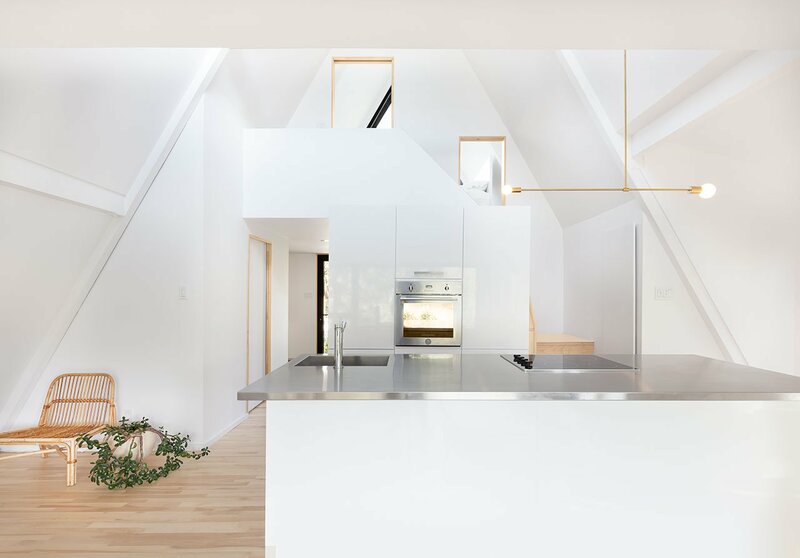 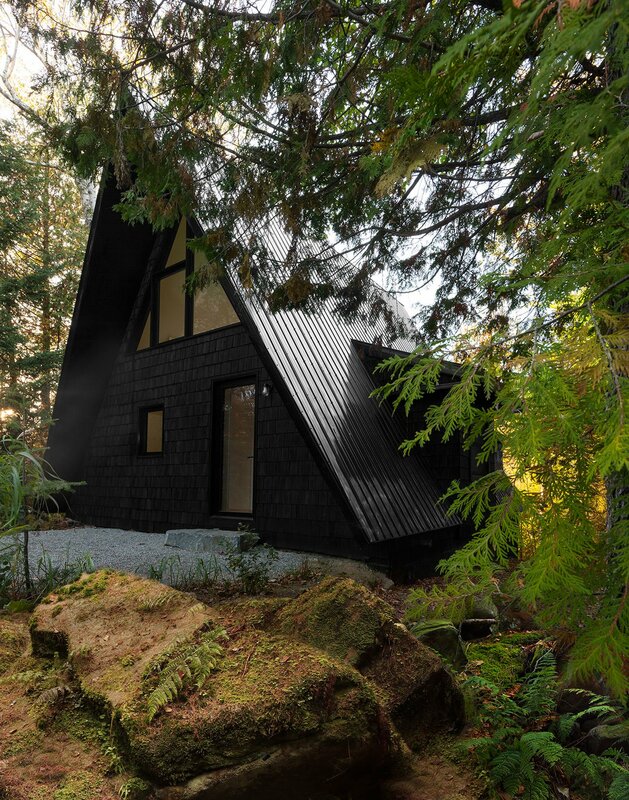 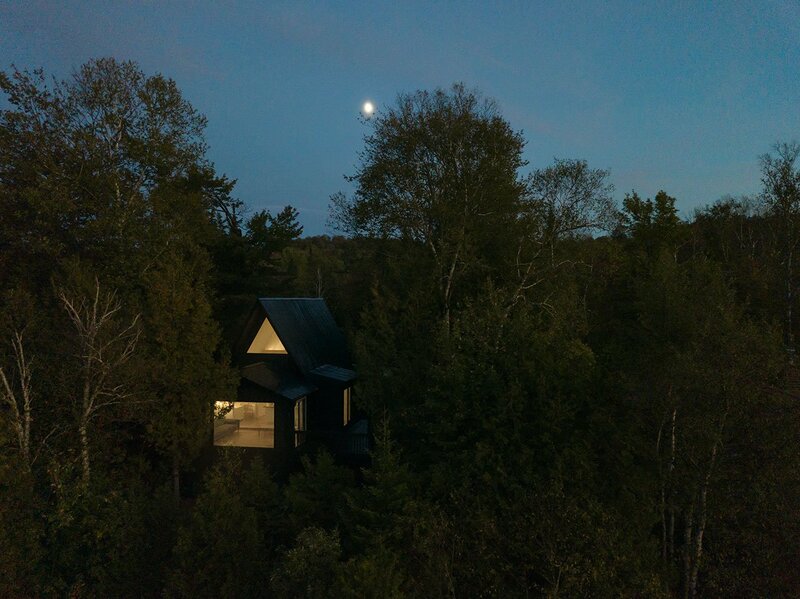 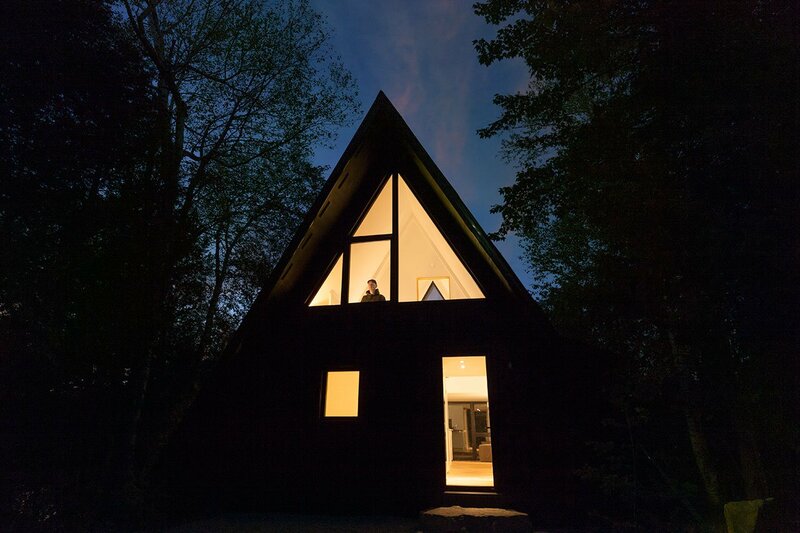 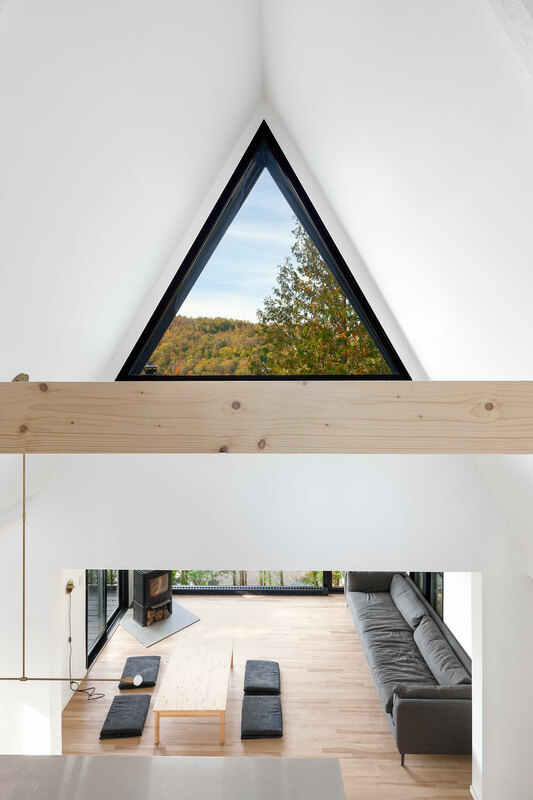 Architect Jean Verveille is behind the redesign of this fairy-tale like A-Frame Home in Canada’s Laurentian Mountains. 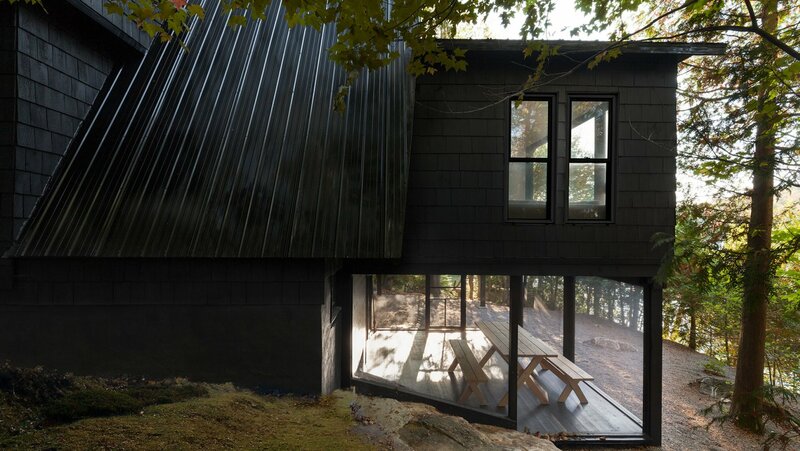 The original structure dates back to the 1960s, but its owners, a family with children, wanted it recreated as an escape from city life and a place to commune with nature. 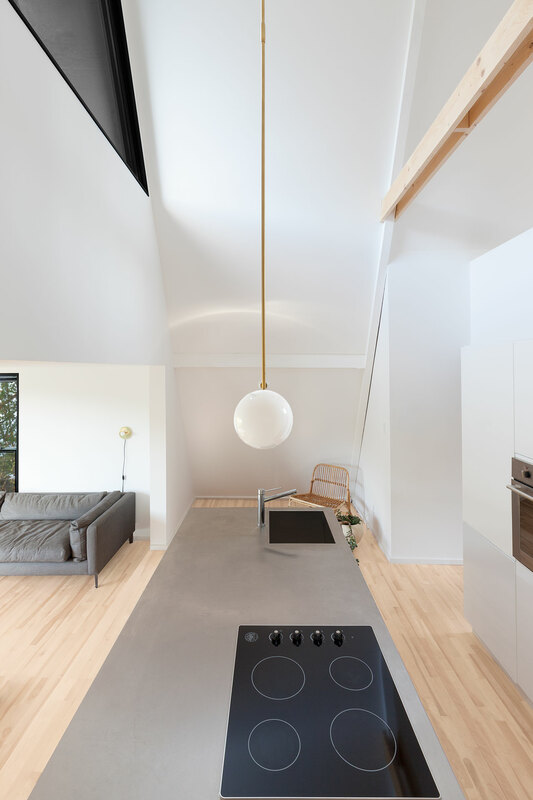 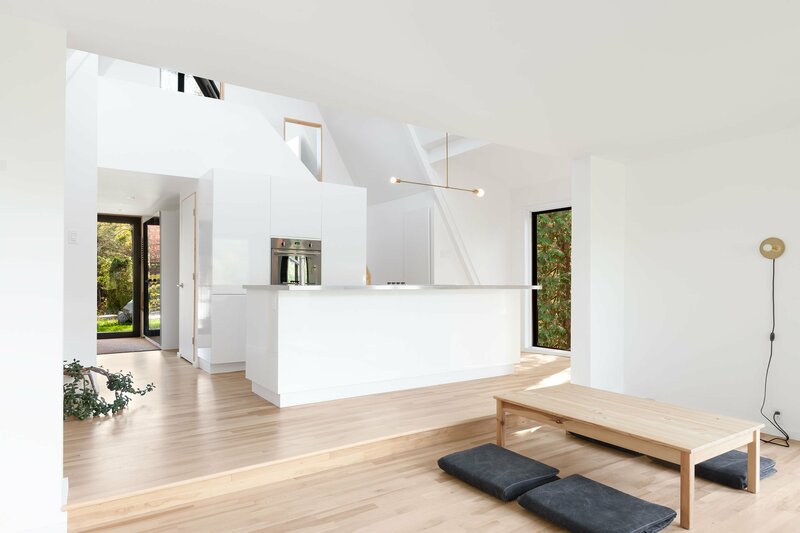 With its light wood flooring, white walls and double height ceiling, the 64 square meter home feels bigger than it is. 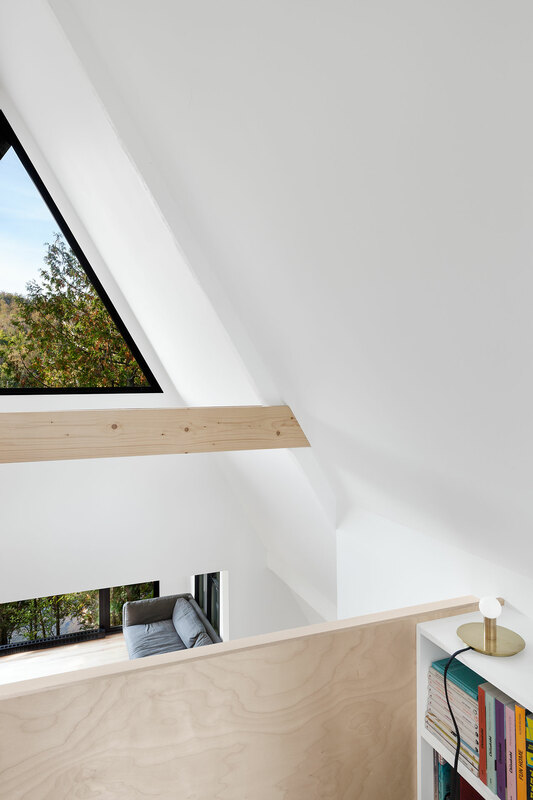 “The rehabilitation of this A-frame reflects the method of the architect who, approaching the essence of his clients’ everyday life, leads them to scrutinise their daily habits as well as their real family needs to surpass their own limitation,” explains the studio.